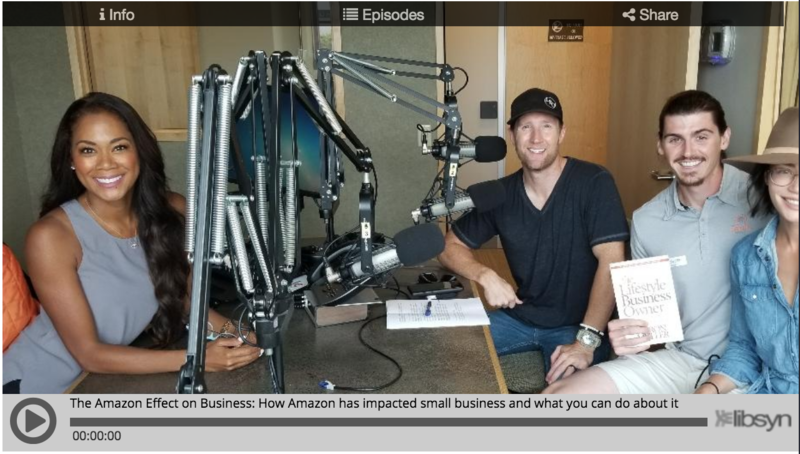 On segments one and two of the Lifestyle Business Owner, Aaron and Mayumi sit down with Robert Oliver, founder of The Genius Brand and his wife, Jing Oliver. Robert Oliver is the founder of The Genius Brand and a handful of other successful e-commerce businesses. He works with his wife, and prioritize their lifestyle based around optimal living, and health & wellness above everything else. Robert is a self-learned biohacker and he is constantly looking for ways to improve himself both mentally and physically, which leads to business improvement. He manages roughly $25 million in annual Amazon business between his own brands and his consulting business. Owning an e-commerce business sounds attractive, but it seems like anyone can track down your manufacturer, and start selling the same product on Amazon or on their web site to compete with you. In your opinion, is it risky to buy an e-commerce business? Looking 5 or 10 years into the future, what do you think are the biggest threats facing small businesses? And what can small business owners do to prepare for these threats? I understand that what works well in marketing is changing all the time. What are some of the marketing strategies that you find are working well right now? The world is changing very fast. What are some of the issues small business owners should be paying attention to that are not being given enough attention? What are some of the questions small business owners should be asking that they are not asking? Enter discount code & get 20% off at checkout on The Genius Brand website.